Corporate Film Production… that’s us! Many of our clients still use the term ‘Corporate Film’ to describe the range of services we offer. The current-day term for this service is wide and varied – but includes any film content used within your business. 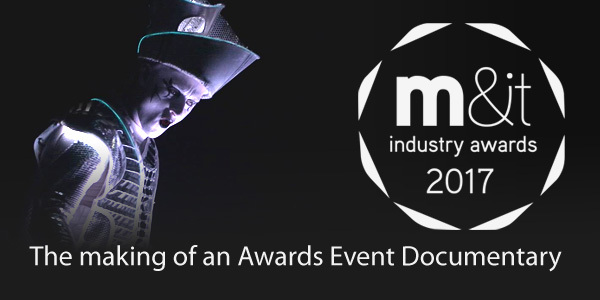 This includes promotional films, website video, docs and business event coverage. 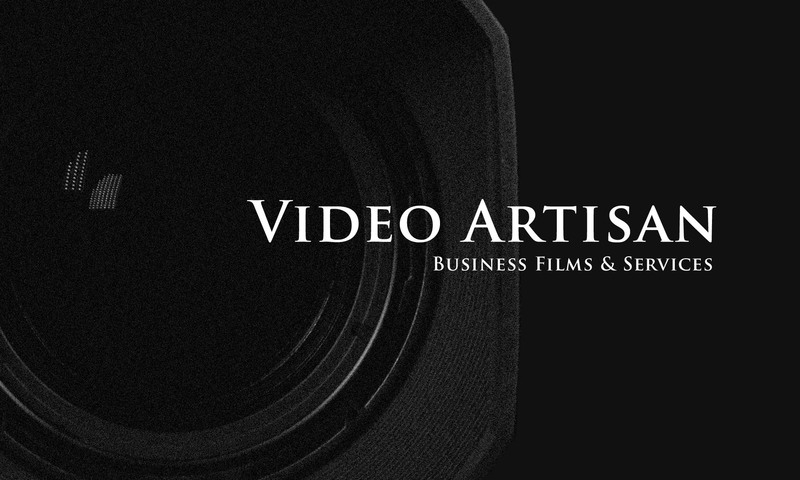 Whatever you want to call it – Video Artisan can create it. Furthermore, we pride ourselves on creating exciting film content that will help you to grow your business. We don’t just shoot and slice video – we craft films with purpose. Working closely with you we will help you focus on the viewer and how they should respond and react. You might be looking for a film to help selling products? Maybe you are looking even broader for something to enhance other branding activities? 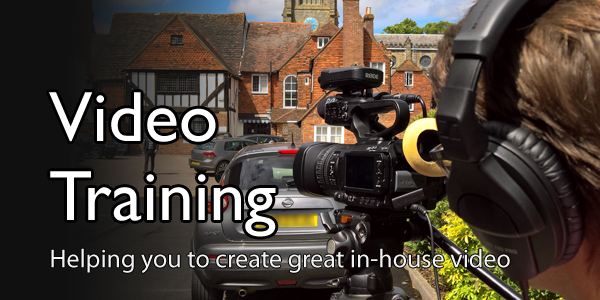 Perhaps something more educational – or purely just creating video content for you to share online? Whatever it is, Video Artisan has the skills and creative juices to deliver a cost-effective solution for your corporate film. Covering the planet, we are based in Loughton, Essex. Our studios are very well connected – with a local tube station, the M25 motorway and a choice of two airports nearby. We can be in Central London in a jiffy. And let’s not forget the beautiful Epping Forest which sits just outside our studio windows. In addition, we offer freelance operatives on camera and for video editing. We’ve got tons of kit with all the usual cameras, lenses and technical backup you would expect. 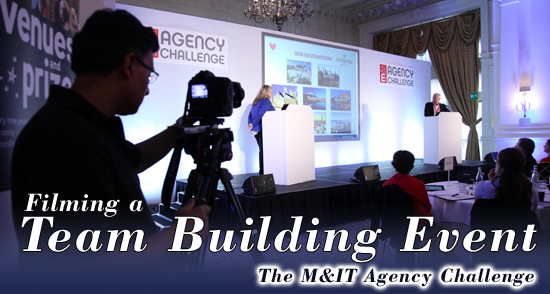 2014 kicked off with us filming a team building event hosted by CAT Publications – namely the ‘M&IT Agency Challenge’ held at the Landmark Hotel in Central London. As publishers of Meetings & Incentives Travel Magazine, these events bring together buyers and sellers from within the corporate travel industry for a fun-packed day of activities and presentations. This is the second time we’ve been engaged to film one of these tremendously successful events (see here). Through better engagement buyers get a clearer understanding of the range of services and destinations available to them – whilst suppliers are provided with the opportunity to build better relationships with new and existing clients. Going by the feedback from all attendees and the general atmosphere I think CAT Publications have got the mix of learning and fun in the right proportions – and it was great to be part of it. Filming a team building event presents its own challenges, but in addition at these events we also supply video camera kits for the teams of delegates to use in one of the many challenges which they have to complete during the day. The video challenge this time was to create a 30-second commercial based on any one of the supplier presentations given on the day. If that wasn’t challenging enough, they only had 30-minutes in which to plan, script and shoot it! Thankfully for them they didn’t have to edit it too. That was left to me and meant that I had to complete the edit on all six team videos only an hour or so after the last team finished filming so they could be judged and then screened later on in the evening during a gala dinner. Whilst I was tucked away in a separate break-out room for much of the day either editing or briefing teams on how to use the cameras, my wingman for the day, Dilip Patel, was doing the ‘filming a team building event’ bit. This was far from filming entire coverage of each and every presentation and team challenge but rather gathering enough b-roll material so that I could cut together a 3-minute short documentary of the day. The narrative was achieved by filming an opening and closing piece with Martin Lewis, the Managing Editor of CAT Publications. Luckily Martin is a natural in front of camera and he also acted as interviewer at the end of the day to capture some of the feedback from delegates which helped us tell the whole story. The video challenges were staggered throughout the day, with either one or two teams doing this challenge at any one time. This started off with me giving them a very brief introduction to the cameras they’d be using. Once again we’d relied on Hireacamera to supply Canon XF105 cameras which were configured in full-auto mode to free up the teams from having to learn how to control focus, exposure and sound levels. Once they’d started creating their films I would then follow the teams to make sure they didn’t have any technical issues and, at the same time, capture of few shots of them creating their films to add to my b-roll. Thankfully these cameras are extremely easy to use in full-auto mode and didn’t present any problems for the teams who were working to an extremely tight deadline. I’d installed my backup desktop Edius edit suite in my breakout room and, thankfully, none of the teams presented me with too much of an editing challenge – although not one of them managed to stick to the 30-second duration. This was one of the criteria the films were being judged on so no one managed to get an advantage in this respect. Once the judging was completed I had to then get the files out in a format that the staging company could play out later that evening. There were one or two challenges with this but we got there in the end. The result was it created a fun opening to the gala dinner that evening where each team got to see their own film, and the other team’s, for the first time. Canon 5D DSLRs are great for filming a team building event but even they struggled under a range of challenging lighting conditions. In the main presentation area the staging company were using those wonderful blue LED lights to create a wash of light around the room – and this was coupled with natural daylight from windows and mix of tungsten and fluorescent house lights. No matter how hard you try it’s impossible to get a really accurate white balance under those conditions. During the evening events we had to work pretty much under candlelight alone. Other than that it was perfect!!! Will we be filming a team building event for CAT Publications again? You bet! Plans are already underway for another one in the not too distant future. Like anything in life the more you do something the better you get at it. Whilst we managed to tick all the boxes for CAT Publications again this time we’ve got some ideas on how the video challenges can be improved further. If you are thinking of running a team building event or corporate away day in the future and are looking for a fun and productive way in which to engage your delegates – and at the same time capture the event on film for future promotions – then please give us a call. 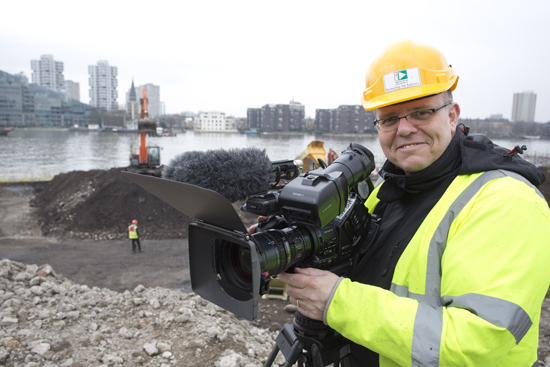 I had the pleasure of working for Stuart Boreham last week as a freelance cameraman on a film he is producing about the groundworks taking place on the impressive Lots Road Power Station development in Chelsea. This was a massive privilege for me as I’ve been a great admirer of Stuart’s video and photographic creations for many years. As well as being a winner of a number of IOV Awards I think his body of work speaks for itself (take a look at his Vimeo channel). This one-day shoot was just part of year-long project Stuart is working on for Careys who are carrying out the groundwork on this £500M development. The entire site is being developed by Hutchison Whampoa and will consist of 13 separate buildings including two multi-story luxury tower developments. With part of the development in Kensington & Chelsea and part lying within Hammersmith & Fulham, the site has not been without its planning challenges. Now finally under way it will eventually become one of the most impressive Thames waterside features. My freelance cameraman services were required to capture part of the action as a steel bridge was lifted over a creek separating the two sides to site. In addition to me filming on a Sony EX3, Stuart also had another freelance cameraman shooting on a DSLR doing the funky slider shots as well as filming from a cherry picker once the bridge lift was taking place. Stuart had also located a couple of GoPro cameras, plus a Sony EX1, to capture a range of timelapse sequences of the movement. Whilst all this was going on Stuart was taking stills of the proceedings. Even though there was a lot of hanging around waiting for the action, once things did get started it was all hands on deck and meant dashing from one side of the creek to the other in order to get the bridge being lifted into its final position. I don’t mind admitting it was exhausting work. I hope this is the beginning of more calls from Stuart for my freelance cameraman offerings. 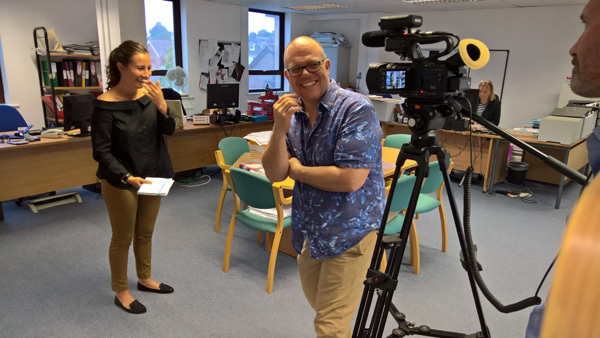 One of my most exciting and promising contacts came in towards the end of 2012 with an approach from a local agency on filming customer references for a number of blue-chip clients. One of their largest and more prolific clients that use their services is British Telecom. The agency specialise in producing a mixture of marketing collateral based on interviews and interactions with their client’s customers. These marketing tools can be brochures, website content, fact sheets and/or videos – which are ultimately used to help their clients sell more of their products or services. My work for them started with a edit-only job on a short film about ABM Rexel in Spain outsourcing their world-wide telecommunications infrastructure to BT Global. Filmed in Spain by a separate film company, the first task was to transcribe and then translate the customer interviews from which the agency produced a paper edit for me to follow. Two versions of this film were eventually produced – one with and one without English subtitles. The second commission was a short film about the John Taylor Hospice who had adopted BT’s N3 Mobile Health Worker technology into their practice in Erdington, Birmingham. 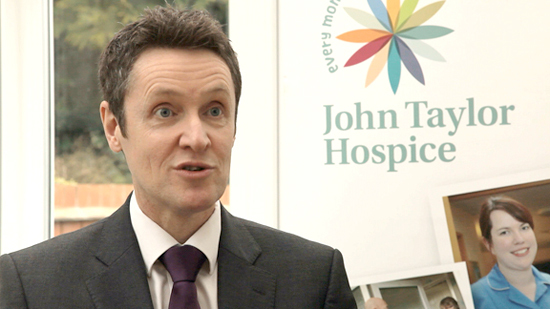 This was partly finished project which required additional and more up to date footage by way of filming customer references and BT representative interviews at the hospice. In a nutshell, N3 Mobile Health Worker is a system which enables health workers to instantly access patient records in the field – and also to enable collaboration with other health workers involved in their care. 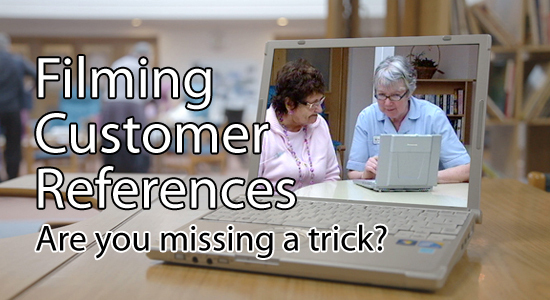 Filming customer references and case studies are relatively straight forward filming challenges. However, the work that goes on prior to filming is key to their success. The agency are incredibly skilful word-smiths who understand their client’s needs and know how to capture the messages that will result in their clients achieving their goals. They also fully understand the video production process and the best ways to get the message over using video. Every shoot is therefore tightly storyboarded and planned – but at the same time they realise the benefits of using creative professionals such as Video Artisan to help direct and craft the content into something with purpose. I’m now in the middle of the third film for this agency and BT Global which is in the final approval stages. 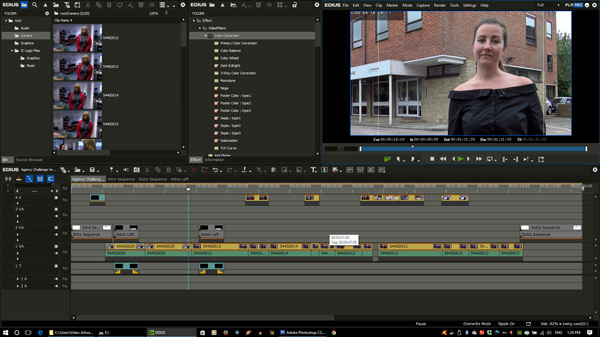 We’ve also started planning another film which is due to go into the filming stage mid-April – so it looks like this is going to be a regular stream of work for Video Artisan. I’ll be adding these films to my showreel as each one gets signed off – so keep an eye out for them.